About 3 weeks ago we went to Connecticut to visit family, we had a great time. Since returning; I've been super busy with custom orders. 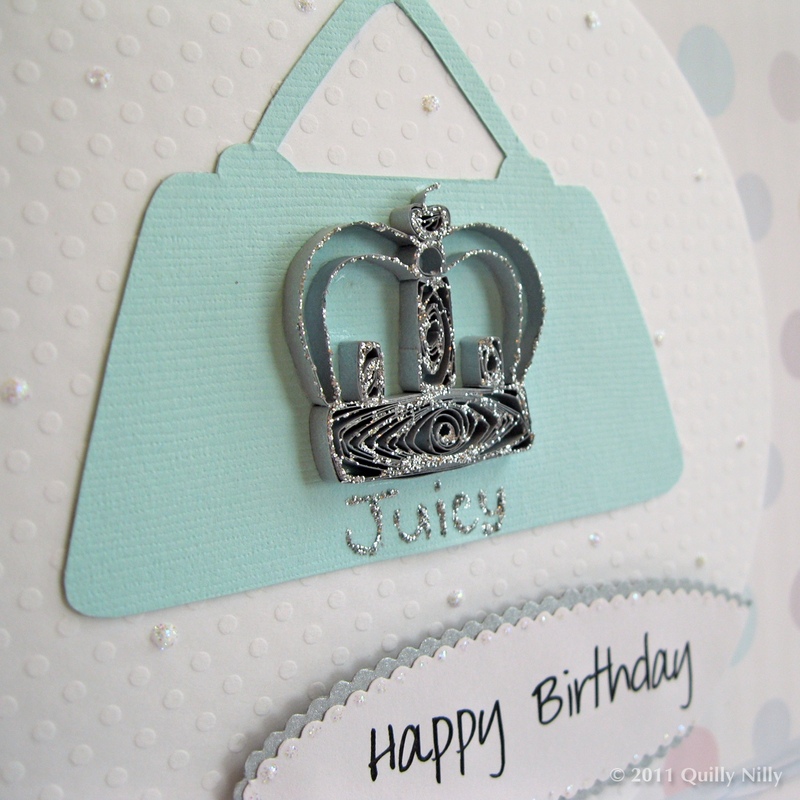 While on vacation I received an email from a gentleman who saw on my blog, a custom Juicy Couture card I had made for my coworker's daughter, he wanted one for his wife's birthday. 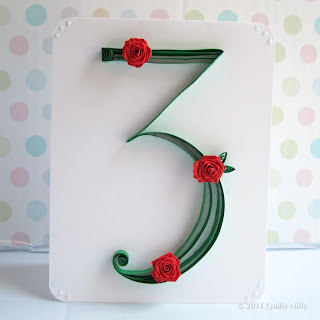 He gave me some of her favorite colors, I chose the Tiffany blue; of course I had to google what that was so I got it right. He wrote her a couple poems which I printed for him and put on the inside. One of my coworkers had asked if I could create a birth announcement card for his new grandson. 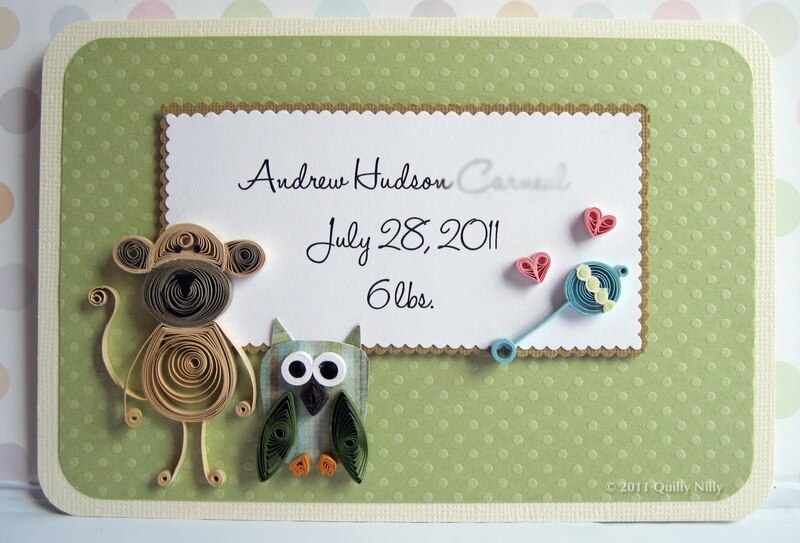 His daughter in law loves monkey's and owl's so I knew I would incorporate those elements along with a few other "baby" things and of course his name, date of birth and what he weighed. I sketched out the monkey, this was the first quilled monkey I ever did and I was hoping he would turn out as cute as my sketch - he did and so did the card, I definitely want to make more of these in the future. 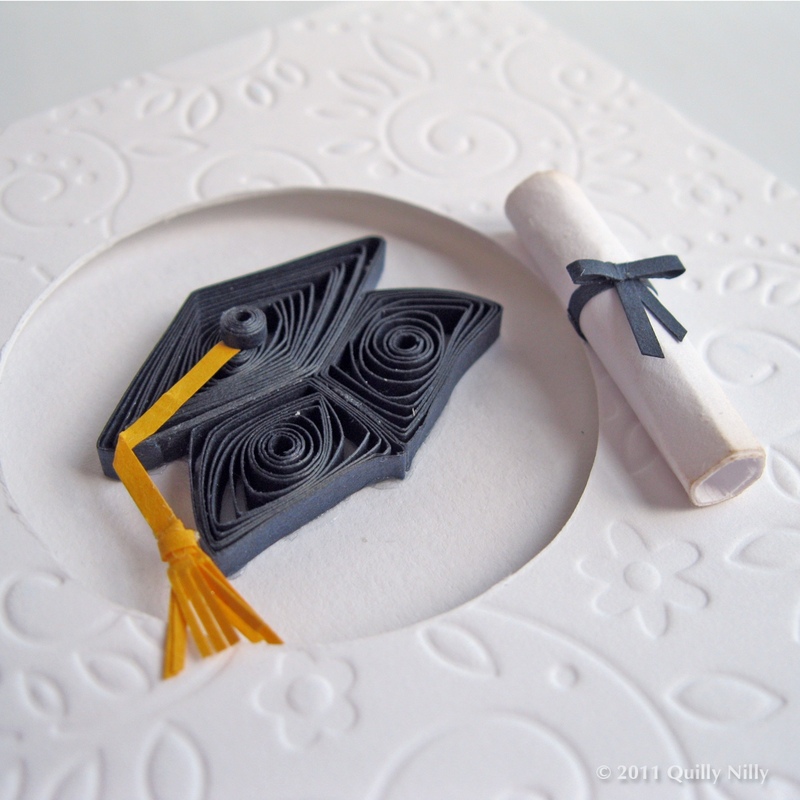 Another coworker wanted a graduation card, I did a cap and diploma using the colors from the graduate's high school - blue and mustard yellow. She also needed 3 personalized frames, I picked out three patterned paper's with florals and swirls and printed each of the recipients names for the inside. 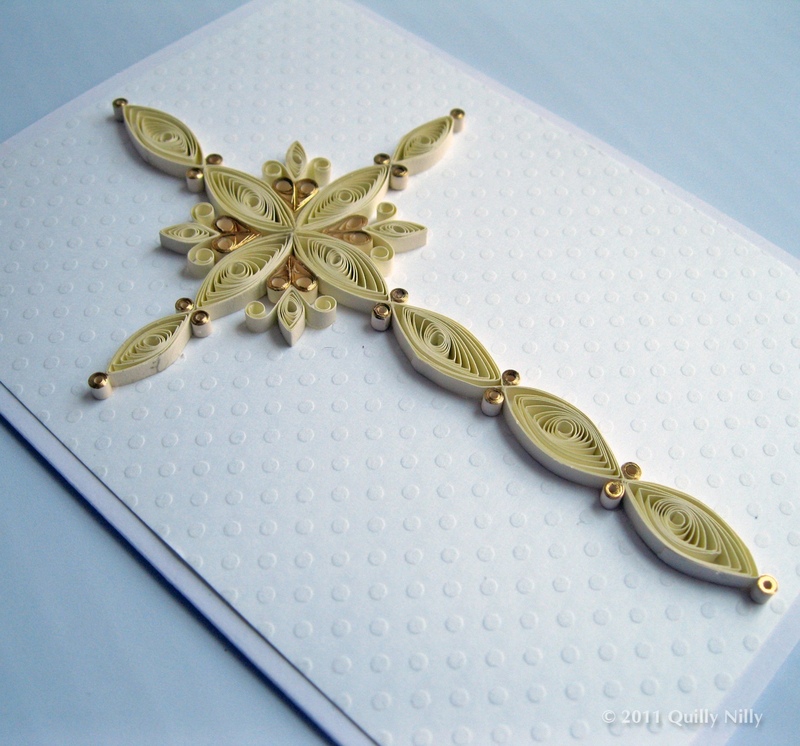 I then quilled a solid butterfly that coordinated with the colors in the papers; she loved them all. In the last week I finished up a custom Etsy order, wedding table numbers 1 - 7; and another order from a woman who saw my cross card on my blog. She wanted to use them as baptism invitations, and being that she was in Australia and shipping takes so long; I only had a couple days to create 18 of them. I got them done and out; they turned out so nice - she chose an ivory and gold edged paper for the cross embellishments. It has been so long since I have been to visit you - I am so happy to see all of your creations! 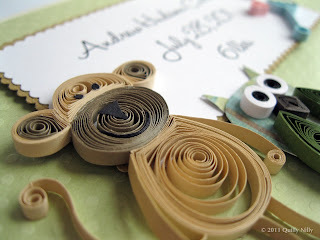 These are all beautiful - you are so creative! 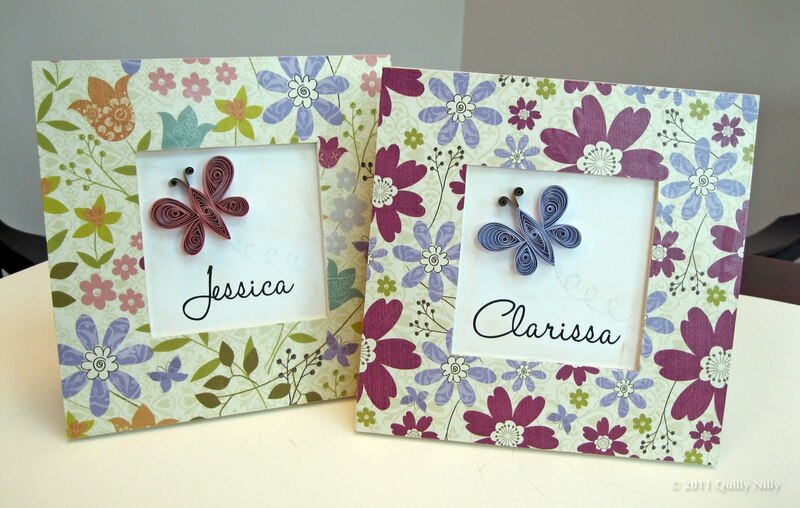 Congrats on your custom orders! I can't believe you made 18 crosses in TWO days! Better get some rest for the next wave. Hope you feel better soon.